Dodge Cummins Diesel Forum > The Market Place > Vendors > Rancho Suspension > Shocktober is here! Now is the time to upgrade your shocks! It is that time of the year. Shocktober! This year Shocktober runs from September 1st to September 30th, 2018. · Carefully review all Terms and Conditions on the back of the rebate form. 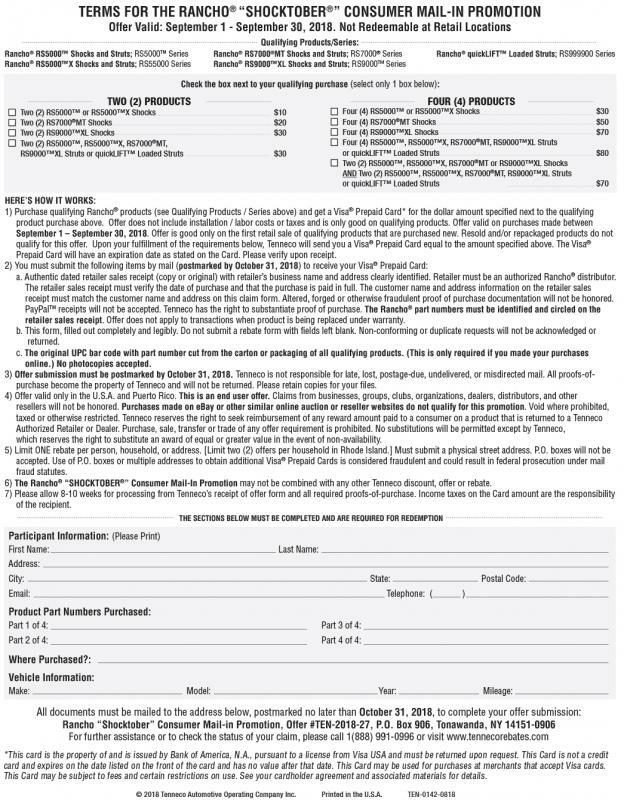 · Fill out each rebate form completely before mailing. Do not submit a rebate form with fields left blank. · Rebates will not be processed without supporting documentation. · Follow posted promotion and postmark dates. Submissions must be postmarked by October 31, 2018. Early or late submissions will not be accepted. Make a copy of everything for your records! 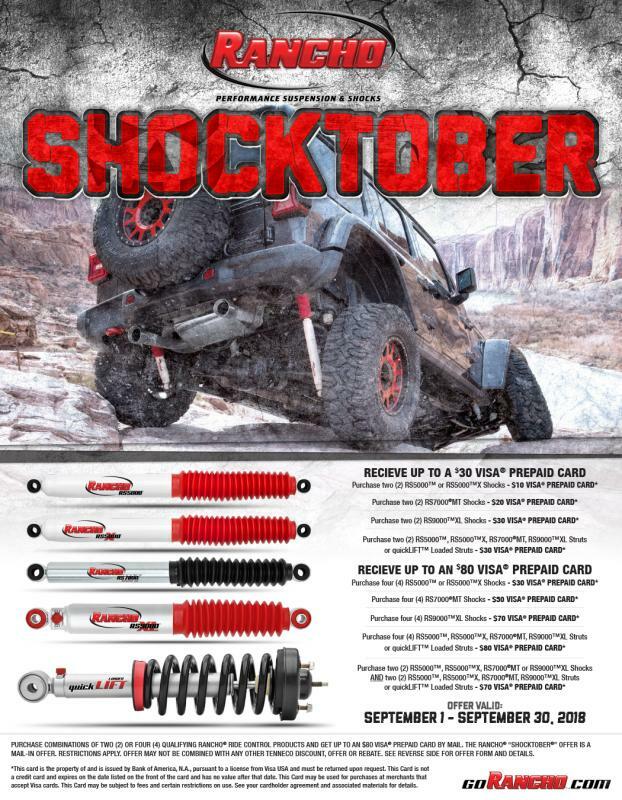 Now is the time to upgrade your shocks!! Only a few days left to upgrade your shocks.